For more than 30 years, Chapeau has been offering the most interesting pret a porter collections, garments and accessories of the mitical brand. 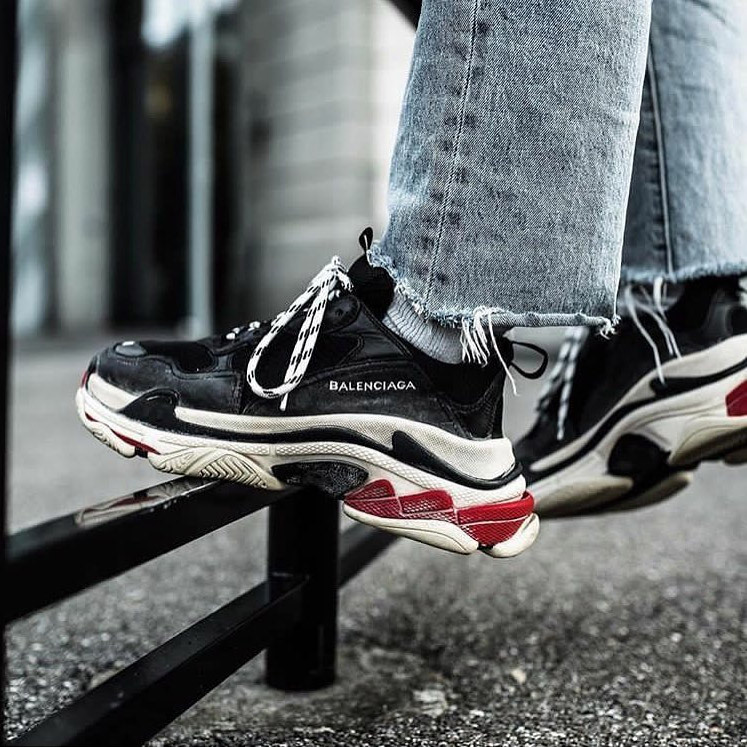 Now we are very proud because at last you can acquire the famous Balenciaga sneakers model triple S in Valencia (the origin of these popular sneakers comes from three different sport disciplines: running, basket and walking). At the moment this Gvasaila design for Balenciaga becomes one the most desirable luxury products at the world. 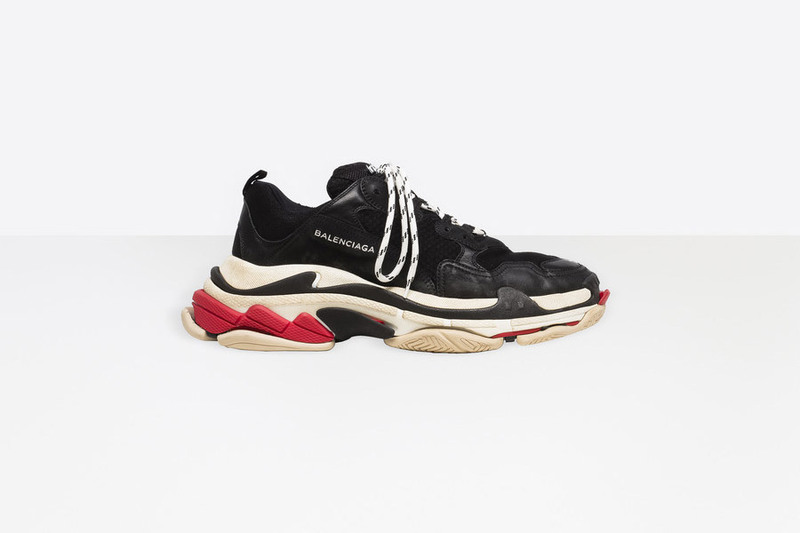 These amazing Balenciaga sneakers are characterized by its American oversize style and the mixture of their materials (nobux and netting). The aim is to get a washable vintage effect. 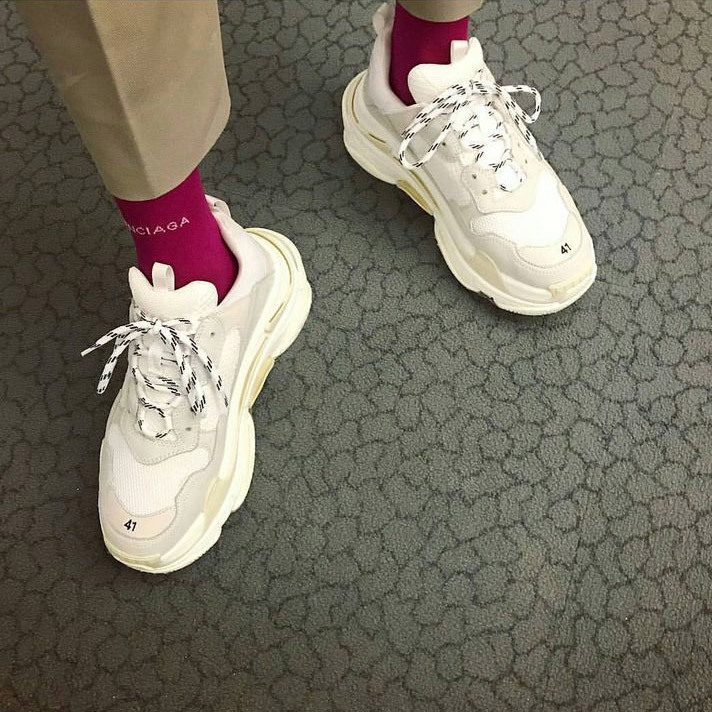 Regards the Lust-Worth of these sneakers, as data of interest, The sneakers triple S are the most posted on Instagram. Now you can buy the most desirable Balenciaga sneakers in our luxury multibrand store.